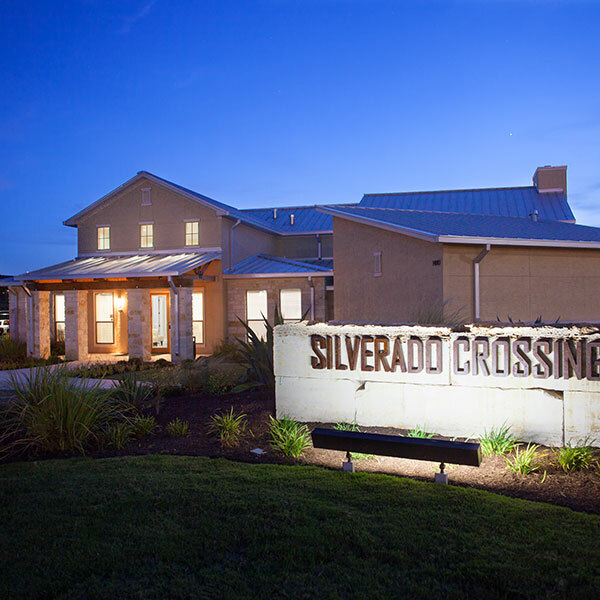 Silverado Crossing provides luxury living in the heart of Texas with 300 luxury apartments positioned around generous open green spaces. 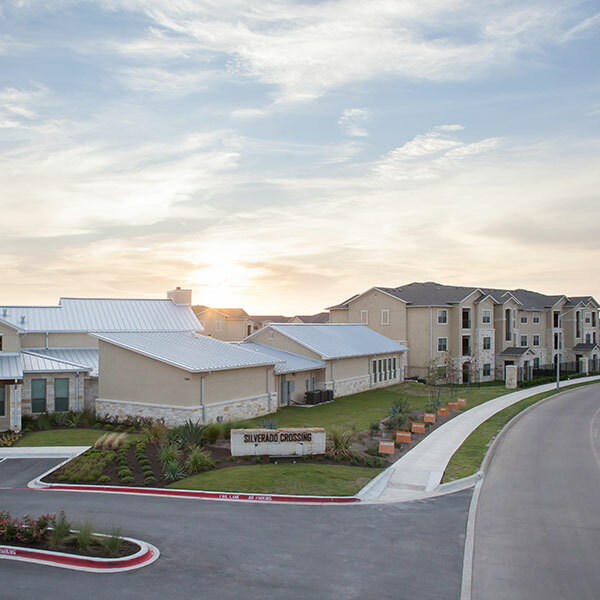 Apartment homes feature nine-foot ceilings in one-two and three bedroom floor plans with granite counters and oval garden tubs. 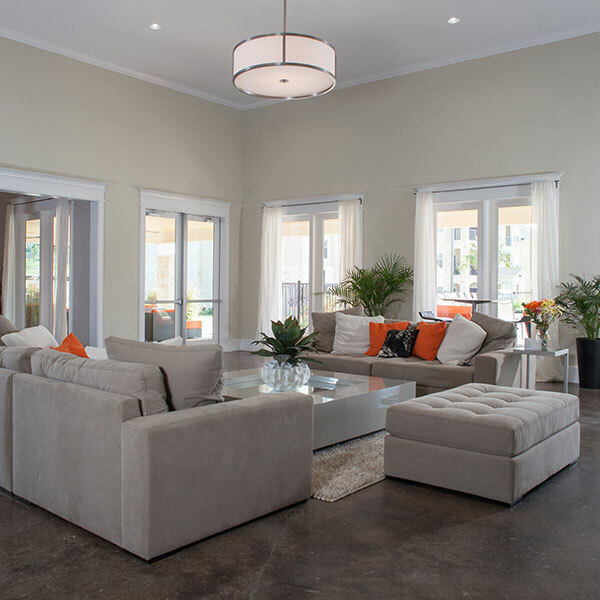 Each unit also features a balcony with exterior storage space, security pre-wire, wood floors, stainless appliances, designer lighting packages. Some units include a backyard area for pets. The community provides gated access with security camera. Residents enjoy outdoor living with resort-style pool, spa, clubhouse with on-site concierge. The large 24-hour fitness center is well-appointed and offers complimentary towels. The grounds are pet friendly with dog watering stations located around the site. The project broke ground mid-summer 2012 and was built on both an aggressive schedule for completion and a lean budget. 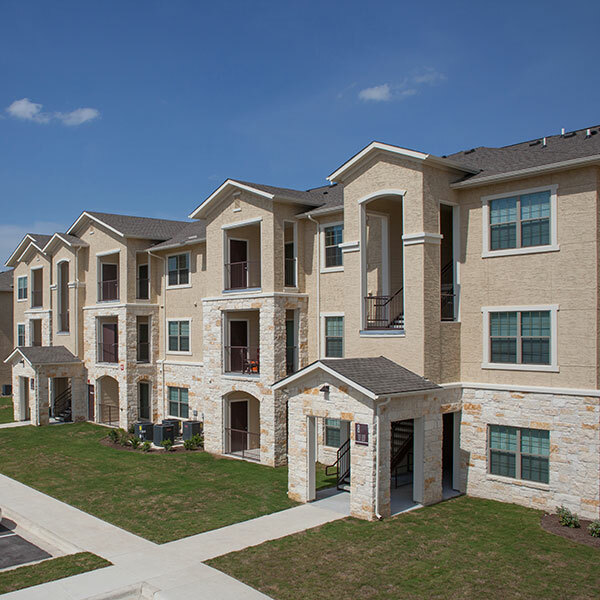 The project includes finishes that outpace competitors in the multi-family sub market. Staying on schedule for this project was critical because many of the luxury apartments leased prior to completion. JCI’s corporate Quality Control and Safety Management policies were implements on this project. Both QC and Safety Audits were performed regularly to monitor and ensure a quality product and a safe work environment was achieved throughout the construction.